Contrary to what your college professor said, the one-page resume rule is a myth. Contrary to what your college professor said, the one-page resume rule is a myth. Unfortunately, many listen to this outdated advice and devise ways to cram a complete professional history into one sheet. So much so that most job seekers expand the margins of the documents, use a small font size, and skimp on accomplishments rather than risk exceeding one page. 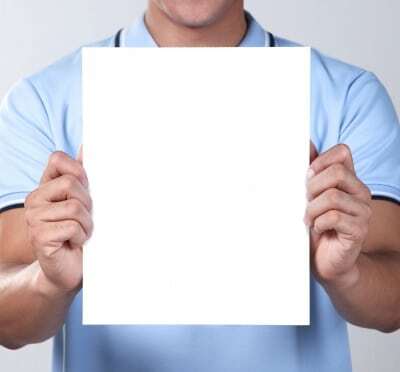 With today’s standards in resume writing, it is impossible to gain a full picture of a professional candidate in one 8-1/2”x11” sheet of paper. Let’s break down the introduction of a resume and how it has changed over the years. Objectives Have Been Replaced with Profile Statements: In the past, resumes started with only one sentence: “Seeking a challenging position where there is an opportunity for growth.” Now, resume introductions are more comprehensive, usually up to five sentences. As such, the profile statement takes up more room on the resume. Keyword Section: Due to the advent of the Internet and resume data banks, all resumes need a list of core competencies that demonstrate the skills, knowledge, and abilities you have acquired throughout your work history. The keyword section alone adds three to five lines. As you can see, where the beginning of the resume used to be only one sentence, it has grown to ten. Professional History: Long ago professionals stayed at the same company for ten-plus years. As such, the work history section of the resume consisted of only one or two jobs. Nowadays, many job seekers have six jobs within that same ten-year span. The addition of more jobs usually translates into at least a two-page resume. Education Section: With a lot more certifications available and many companies investing in employee professional-development courses, the education section has expanded as well. There is only one rule you should follow in terms of resume length: your resume should be as long as it needs to be to sell your qualifications. That may mean your resume can be one, two, or even three pages. When you insist on limiting your resume based on the number of pages, the reader won’t get the full breadth of your experience. This isn’t to say that you should include every last detail of your history; however, it should flesh out all the important aspects of your career—especially those all-important accomplishments. Certified in all three areas of the job search – Certified Interview Coach (CIC), Job & Career Transition Coach (JCTC), and Nationally Certified Resume Writer (NCRW) – Linda Matias is qualified to assist you in your career transition, whether it be a complete career makeover, interview preparation, or resume assistance. Linda is the former president of the National Resume Writers’ Association who is the author of two books: 201 Knockout Answers to Tough Interview Questions and How to Say It: Job Interviews. Both books can be found at Amazon.com or your local bookstore. You can contact Linda Matias at linda@careerstrides.com or visit her website www.careerstrides.com for additional career advice and to view resume samples.